While France and Germany celebrate the 55th anniversary of the Elysée Treaty, and the European Commission is lulling towards a rapid enlargement to the Balkans, it is good to re-read the recommendations of Franck Biancheri made in December 2002 on the occasion the Copenhagen Summit (which ratified the accession of ten new members on 1 May 2004 to Cyprus, the Czech Republic, Estonia, Hungary, Latvia, Lithuania, Malta, Poland, the Slovak Republic and Slovenia). Fifteen years later what can we say and how can we be prepared for this new Europe of 2020, which should see the Balkans join the ranks? The following recommendations, in the line of the ‘three scenarios for Enlargement’ published by Europe 2020 in November 2001 and of the “Europe 2020 vision” project, launched in June 2002, are based on the intention to ensure the continuity of the EU and its continued democratisation (both objectives being very closely linked). These recommendations aim at avoiding that a new European opportunity affects, in the EU as well as in the candidate countries, the support of public opinion to the EU project. The strategy of ignoring the great contradictions, which will emerge in Copenhagen, under the pretext that they will be solved by the pressure of time, s howed the limits of its efficiency in Nice or rather in its devastating effect on the public opinion. We should therefore try and anticipate, and imagine a constructive approach in order to avoid Copenhagen to be remembered as the summit of confusion and conflict. The Copenhagen summit should not be considered as THE historic moment of the Enlargement pr ocess, but as a vital step of a longer – duration process. The European leaders could usefully remind their colleagues, especially the Commission, not to misuse the term ‘historic”. The duality of the summit should be dealt with openly, publicly: announcemen t impact and long duration of the process. Therefore, the importance of the announcement should be underlined (the EU opens its doors to 10 new countries in the coming years) and it should be stated that it highlights the European leaders’ political commit ment to convince their citizens of the validity of this decision, as well as the political commitment of the candidate country leaders to do the same. The parallelism of the two situations should be strongly underlined. In a symbolic way, in order to prove the fact that the two Europe have now one common future, the status of the candidate country representatives and that of the EU representatives at the Convention on the Future of Europe should be equalised. In parallel, it should be insisted upon that en largement is one step of a long process leading to an enlarged EU, a process which includes numerous technical stages and a reform of the EU institutional system. It is therefore impossible to fix a date, like June 2004, for its institutional conclusion. T his has to be said or the EU public opinion will be flabbergasted to learn this (even countries, like the Netherlands, which have communicated on Enlargement have realised that). Ratifications are long and uncertain procedures, and the ratification period starting now might well only end in 2006 (date of the new financial package). It is vital that the internal discussions on the financing and on EU policies (budget, CAP, regional funds, UK check) are finalised before any operational enlargement takes place. If the new Member States miss the European elections of 2004, this should not be a problem. They will be able, as they choose, to send members of their national parliament in the meantime, or to organise elections when they are entirely admitted. Democra cy deserves that time is taken to prepare and inform correctly the public opinion on what they are asked to vote about. Currently, nobody in the candidate countries knows what the European parliament is. C. Disconnect entirely the enlargement process from the European elections in June 2004, explaining that the process could take up to 2006.
. In the candidate country public opinion because this calendar is not realist and this will reinforce the defiance towards the EU. We should keep in mind that if ever we can have the feeling to come close to a moment of ‘history’, history alone decides if the moment has been a success or a failure. We should therefore be prudent. II. What is the enlargement process today? ∴ A semantic confusion first: everybody wants to have a successful enlargement whereas it is a successful enlarged EU which is important. The enlargement is a technocratic tool which is supposed to lead to an enlarged EU. It is a moment in time – a passage. But not a goal. The objective is therefore an enlarged Europe, and not enlargement. Similarly, the German reunification was not a goal as such; it is to make reunified Germany alive which is one. Everybody agrees that would the German unification process have been more progressive, the problems between Ossies and Wessis would have been less serious than they are now, and the same applies for the costs of this reunification. We should admit that Germany, amidst the almost obvious hostility of the Fr ench and the British and the fear of seeing the ‘hard’ people coming back in Moscow, did not have a lot of choice and had eventually to take the risk. However, for what interests us now, we, Europeans (Eastern and Western), have to be honest about it, the re is absolutely no emergency. The Russians do not intend to re – occupy Central and Eastern Europe. The Turks won’t invade Vienna. The anti – capitalism or anti – EU revolution is not growing in the streets of Warsaw or Budapest. There won’t be any revolt tomor row in Prague or Bratislava if the Enlargement process is postponed for 2 or 3 years. The anti – East European feeling does not grow in the EU streets, requiring a rapid action. Nothing of this exits. In conclusion: there is no objective reason to rush. And all those who are excited about the so – called ‘historic opportunity which should not be missed” are generally those who did not see coming the fall of the Berlin wall, nor the gap between public opinion and the EU project, nor the political rise of the ex tremes…! We should therefore take the Copenhagen summit easy. We should stop making speeches which are as emphatic as they are empty proclaiming the Historic event, the emergency of History etc. In 1990, I wrote an article explaining what I called “the moral obligation” that was the integration into EU of Central and Eastern European countries. This caused me a friendly and encouraging word from Edgar Morin, who used to read our productions, but ma inly more than sceptical reactions on the relevance and the feasibility of such a thing. It was the prevailing feeling at the time. Since 1990, I have had the opportunity to take part in many conferences all over the CEEC zone, with very different audience s (civil servants, journalists, students, teachers, NGOs, business…) on the issue of our common European future, on the EU, etc… Often, to remind people that enlargement was firstly a political process and not an economic one, as the EU wanted us to believe. In parallel, the idea of Enlargement being something feasible, then desirable, became the dominant idea in the EU system, culminating recently with the ‘historicism” of the majority of the European leaders and of the Commission: “ history has chosen De cember 2004 to make of Enlargement a success”. All those who think differently are therefore against History ! For Eastern Europeans, this might remind them of bad memories. Not surprising, then, to see the support to the EU reducing regularly: our leaders , and the Commission, first, talk exactly as the leaders of the former Communist block used to talk. And it is not the recent resignation of Poland’s promotion manager for the “Yes to the EU” in his country, because of the revelation of his past as KGB m ember, which will change this feeling. Because some forces or interest groups have very good reasons to try and make everybody believe in it. Nowadays, in the candidate countries, the people whi ch are the most in favour of the quickest possible enlargement, are often, on one hand, former apparatchiks who find in the EU system an environment very similar to the now disappeared communist bureaucracies, and on the other hand, civil servants in charg e of negotiating and impatient to get into the Commission (and in other Community institutions) and to earn salaries 10 times higher than their own. It is therefore easier to understand their impatience. I have discussed this issue last year with civil ser vants in all the capitals of Central and Eastern Europe and the majority of them admit that it is an important element in the “emergency” feeling. The other categories of people (and this is proved by independent polls and debates with the public) are not in a hurry and would favour a progressive and slow process (they have had their lot of brutal changes since 1989); including the youngsters and the students who really don’t see where the problem lies in waiting 2/4 years more. The impatience is therefore not that of the people (and of History), but that of some minorities, hoping to gain direct and immediate benefits from a rapid accession to the EU. They don’t represent the majority of public opinion, far from it, but unfortunately they are strategically positioned in the negotiation process. The political leaders should also be counted as part of this group. In Eastern as well as Western Europe, a lot of them want their names to be linked to an historic event. Since they won’t mark Europe with their indi vidual actions, they believe that a group picture will compensate. In Central and Eastern Europe, they also think that they will win the next elections if they manage to ‘get’ their country into the EU. I wouldn’t bet on this, but they do believe it. However, this is only the ‘surface’ of the process, so to speak. The serious issues are prepared and dealt with by experts and technocrats; reports, chapters, the acquis communautaire… They know why Copenhagen is THE date and why History has chosen such a date. But it is not the case! Enlargement has not been prepared in such a serious manner even if a lot of technocrats and experts have been working on this theme for the last 10 years. This situation is essentially the result of the increasing malfunctioni ng of the EU system for about 10 years. 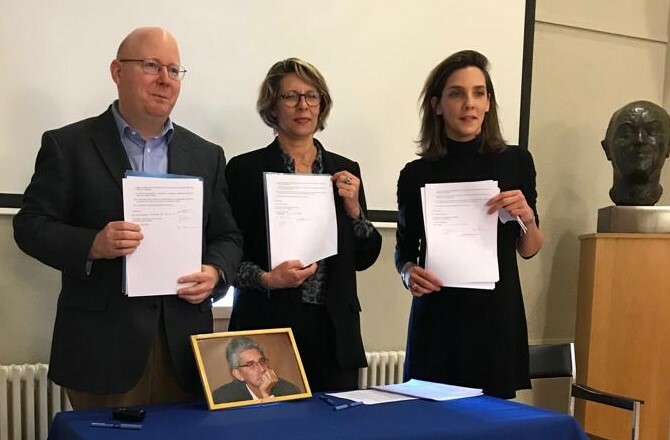 The measurement tool of History that is used by our experts in ‘historic events’ – the ‘historimeter” – is based on the acquis communautaire and the 39 chapters to be closed in order to be considered as “ready to jo in the EU”. This “historimeter” is bent and only shows what its manipulators want it to show. Each chapter is in fact negotiated between the Commission and the candidate country concerned. One only needs to know that the Commission considers that even the contents of its own annual financial and budgetary report is subject to negotiation, to understand that the closure of enlargement chapters only reflects the will or the lack thereof to make progress: only in rare cases does it reflect the reality of the a dvancement of the file as such. One only needs to visit the candidate countries and to discuss with the persons in charge to realise that the so – called ‘closed’ chapters do not correspond much to reality. But who cares about reality, History cannot wait! E xperts and technocrats are there to serve it. – Legitimate : These two forces see the European construction as the rising of a large economic and p eaceful area, without any real political dimension (this is a possible choice, although it cannot be a political destiny, but this is another debate): As part of this internal, powerful force, there is the dominant part of the British and Scandinavian elit es (the Netherlands are more divided on this issue) and several major economic actors.
. an enormous inertia in the bureaucratic system of the EU where politicians have renounced. It is foreseen like this and we will therefore do it like this, even if each European politician you can meet will tell you that this is “nonsense” ; but, in public, at work, he/she will continue to state the opposite… In order not to deceive History and to avoid standing out.
. as illegitimate as inertia, we find the “finer feelings” , since it is “nicer” to say “join us now” than “join us later”. A lot of journalists, political leaders, associations, find it difficult to di ffer from this irresponsible bu t “nice” attitude.
. the third illegitimate force, and this one is obscure and based on voluntarism, comes from the willingness of an ultra – bureaucratic part of the EU system to oppose to EU’s increasing democratic aspirations and to push the EU into a b rutal enlargement, making the EU such a complex system that only technocrats would be able to understand it. The objective there is to dissolve EU democratization into a badly prepared enlargement in order to preserve their powers. This is why Copenhagen must make, must be History ! A mix of dupery, intellectual laziness, conformism, direct interest of a minority of actors, and irresponsibility of the majority of the political leaders. In any case, they won’t be there for long to manage the enlarged Europe ! A picture taken at the right moment suffices to make them happy. This is a pity, since currently, in the coming weeks, the politician or politicians who will dare to say differently and be sincere about Enlargement and the enlarged Europe, will be happi ly surprised to match the public opinions (and the majority of their colleagues who think the same but hope secretly that the Irish will refuse again the Nice Treaty). It seems to me that this would be the real meeting with History: preventing the flock fr om jumping into the abyss. ∴ The big problem of the Copenhagen Summit is not the candidate countries but the European Union. 5 or 6 years ago, a lot of people honestly believed that December 2002 could have been a realistic date. Especially because, as eve rybody knows (and this is the reason why nobody dares to criticize openly the masquerade of closing chapters, which gives food to meetings and newspapers), within the enlargement, what counts is not really the candidate countries but the internal balances within the EU and the reshaping of the EU system which is now obsolete. The problem is that the EU has not done a thing during the last 10 years to solve its internal problems. Focused on the Euro, launched by leaders of the previous generation, the curre nt European political leaders and the EU technocrats only manage, dealing with one crisis after another (mad cow disease, resignation of the commissioners, etc), a mechanism created in the 50s which is too old and which they don’t know how to repair or re place. The result is that the EU is the one who is not ready for the Historic moment. The Convention, launched in a hurry after the Nice Summit is not supposed to come with a solution to this internal disorder before 2003 at the earliest (if it manages to produce a text which will then be adopted by the Member States, and which won’t be rejected by the citizens, less and less docile about European matters) – a disorder which would be considerably amplified by the accession of 10 new Members. According to the “reality” principle, one should have postponed the date to give to the EU the time to reorganize itself. But no! Cleverly using the Eastern fear of a continuous postponing, the forces present behind the ‘historic’ nature of December 2002 have convinced everybody (or almost) that, thanks to the miracle of the European construction, solutions to the internal disorder will come up naturally from the crisis. However, “In God we trust” is the American motto, not a European one. ∴ 2002, 2004 or 2006 … after all, does it matter ? Everything considered, what difference does it make? 2002, 2004 or 2006, it is almost all the same. Well, not exactly, when one is concerned by the EU democratisation on one hand and by the continuity of the EU project on the ot her hand. A rapid enlargement, according to the official calendar, i.e. almost without any preparation on the EU side, will lead to European elections in 2004 which will see the arrival of extreme parties in the European Parliament, reinforced by the ext reme or ultra – nationalist parties of the candidate countries where nobody even knows about the existence of the European Parliament (in these countries, the campaign will necessarily be very short and badly prepared since they won’t know before the final r atification within the EU whether or not they can participate). Within the EU, given the low support of public opinion to a rapid enlargement (including in countries where the governments are well aware of the issue), the European elections will be another opportunity for a “sanction vote” and for a rejection by citizens, faced once again with a fait accompli. Giving the process time up to 2006 and most importantly not forcing the process for June 2004 can make the difference between the failure or the po litical success of an enlarged Europe. If we keep 2004 as the target date, these trends will reinforce the extreme difficulty which already exists in the definition of a new, efficient and democratic EU system, since the discussions on this topic are pois oned by the consequences of Copenhagen on Enlargement (and the other policies indirectly linked to it). There won’t be a sudden burst of energy, as some might hope, since none took place for the last ten years and since the current leaders are not motivate d to provoke any. Over the last few years, the European construction has not been part of a positive movement. Even if the fatigue of the actors gives the Convention room to manoeuvre, since they will be tempted to adopt any project which is even vaguely c oherent. Finally, a rapid enlargement would certainly speed-up the autonomisation of the EuroLand, which, due to its strong constraints, cannot work within a chaotic EU, and will create its own rules in an increasing number of sectors. By deciding to proceed more rapidly, we will put the Central and Eastern European Countries, this time for an indefinite duration, in a European “second gear”. Is it really what candidate countries want? 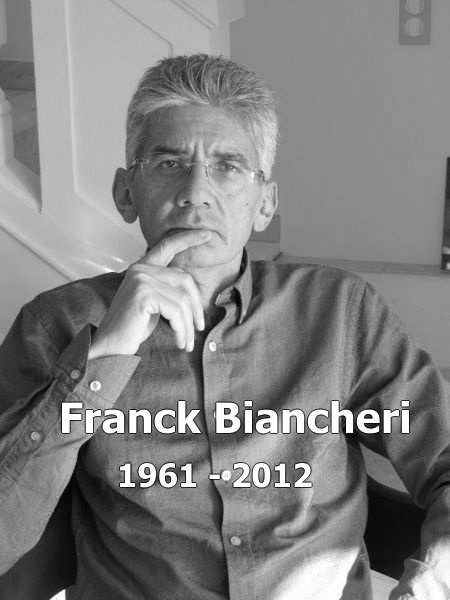 Franck Biancheri – 14/10/2002 – How to avoid having the Copenhagen Summit go down in history as a missed opportunity: the successful enlargement of the European Union!